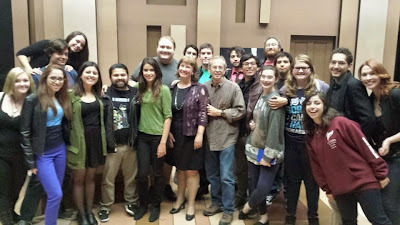 I mostly write about professional events, productions, and upcoming projects in this blog. But occasionally I use this space to write about things that happen at the intersection of the professional and the personal. 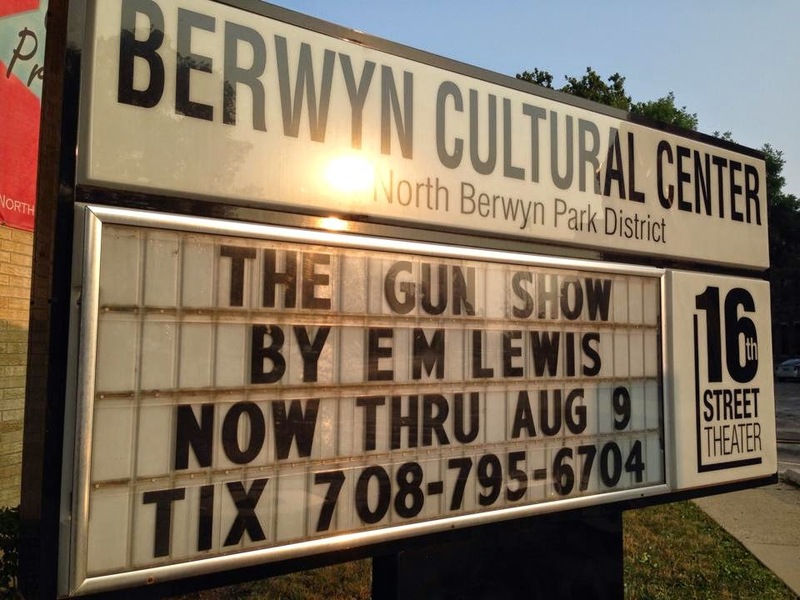 I've written several posts about my play "The Gun Show" -- which more than anything else I've written, falls into that category. I've been thinking about writing a companion piece to "The Gun Show." The idea has been in my head for a while... percolating in my subconscious, alongside several other play ideas. I think there's something to it. 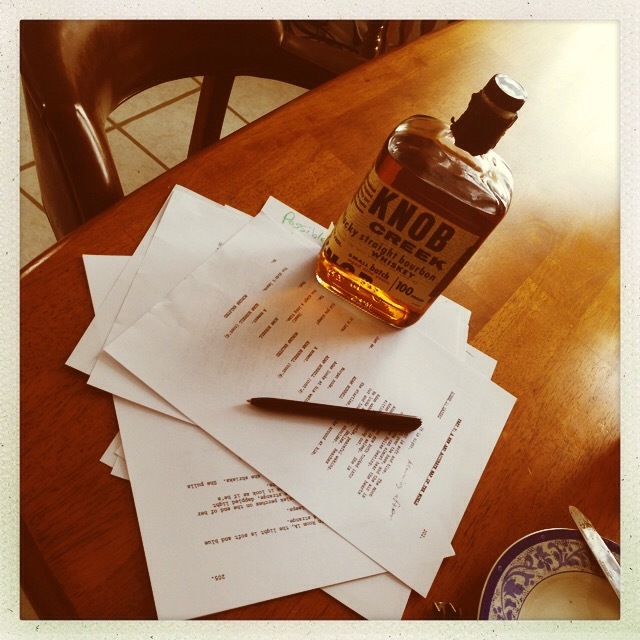 But the other day, as I chatted with my director friend Kevin Fox about possible projects we might work on during an upcoming writing retreat, I decided against working on "Gun Show, Part 2..." and felt a sudden and overwhelming sense of relief. I didn't want to go to the sad place again. Not right now, anyway. It feels pretty amazing to write that silly little sentence. But it's a testament to the profound effect that writing "The Gun Show" has had on my life that I *can* write it. 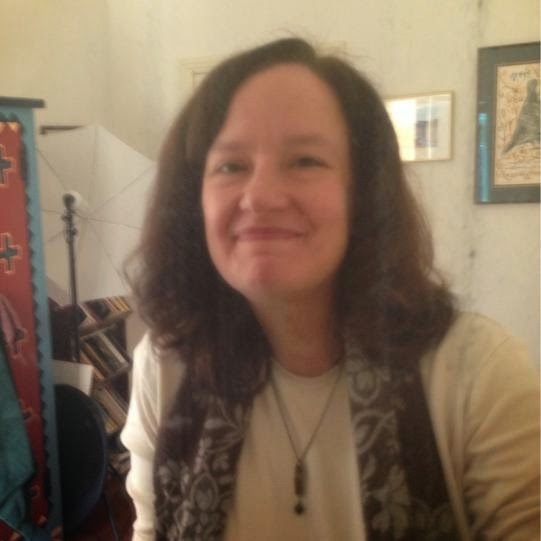 Because for the last twelve years, since my husband died -- since my husband killed himself -- I have understood that I don't deserve to be happy. It isn't that I've been sad all this time. Not exactly. And I've been reasonably productive. I'm a hard worker. But any time something good happened -- a production or an award or a trip to some place pretty -- my inner voice would warn me against enjoying it too much. My husband was dead. I wasn't allowed. It's been half a life, and I got tired of it. I got tired of myself. So I wrote "The Gun Show." 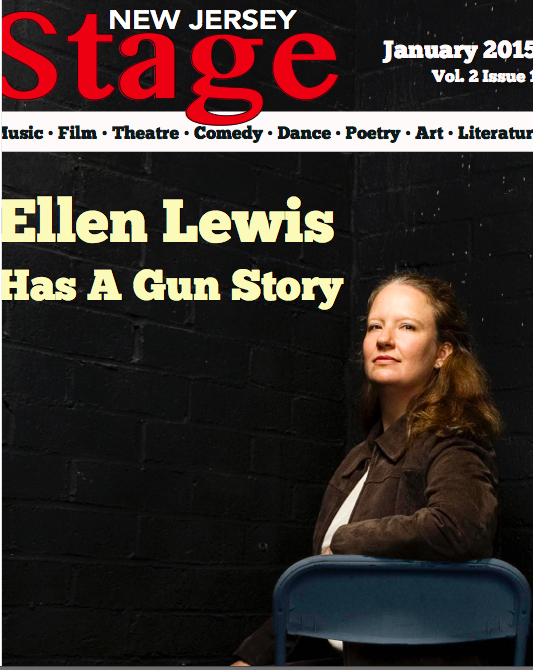 Which is a theater piece about guns and gun control in America, but one that had a role in helping me come to terms with my husband's death. It was time for me to open up that box, and deal with what was inside it. 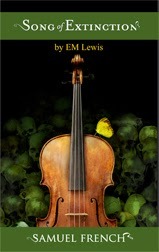 The play has had four productions in the last year and a half, and has three more in the works. 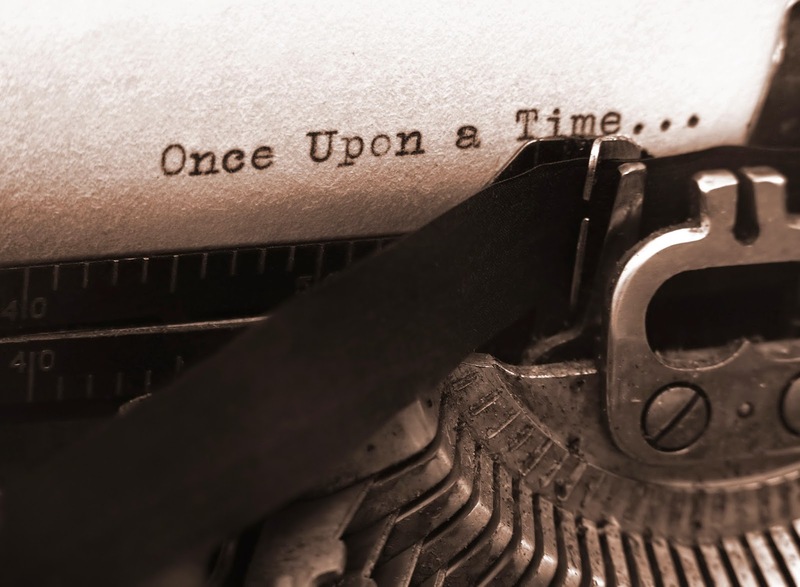 And as I come out the other side of the writing and performance of this play that is more than a play, I am beginning to realize how much I'd like to ditch my inner voice. I'd like to stop checking myself every time something good happens. I'd like to not be alone anymore. And I guess that I'm maybe, finally, ready. Now... to see if I can figure out how. World Premiere of my New Play in DC! as part of the Women's Voices Theatre Festival in DC. I am delighted to announce that my new play "Now Comes the Night" will have its world premiere at 1st Stage this fall, as part of the Women's Voices Theatre Festival in Washington, DC. I'm in DC now, working with my director/artistic director Alex Levy on the script and casting. 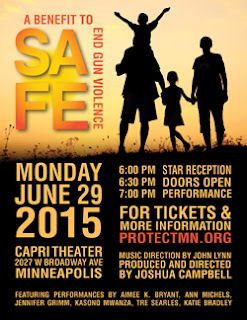 Congratulations to Josh Campbell and the folks at Protect MN on their benefit on Monday night in Minneapolis! Josh used some excerpts from my play "The Gun Show," interspersed with music, for the event. Cherry and Spoon had this to say: "Similar to the benefit I attended two years ago (I missed last year), the evening was structured as performances of songs from musical theater and pop culture, interspersed with relevant readings. The text this year came from a play called 'The Gun Show' by EM Lewis. The excerpts (read passionately and emotionally by Ann Michels, who didn't sing much because she's saving it for her other job) made me want to see the entire play. EM Lewis is one of those people who is in the middle - she grew up with guns in rural Oregon and still owns a gun, but recognizes that there needs to be some changes in the way we think about, legislate, and handle guns. 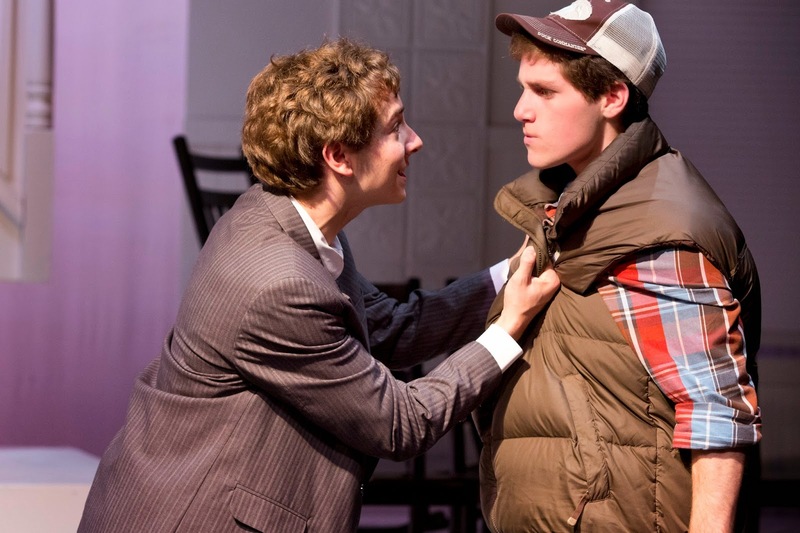 The play is funny, honest, and thought-provoking." If you're interested in bringing "The Gun Show" to your community, email me or my agent, Samara Harris Anderson. 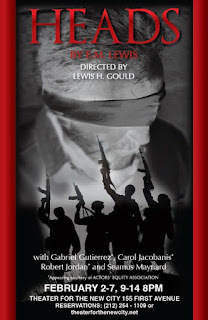 The play had great response at 16th Street Theater in Chicago, Moving Arts in Los Angeles, and Passage Theatre at the Mill Hill Playhouse in Trenton. I'm actively seeking its next good home. Let's talk about this. On Monday, June 29th, excerpts from "The Gun Show" will be read as part of a benefit for Protect MN in Minneapolis. "Magellanica" -- my recently completed Antarctic epic play -- is an honorable mention for this year's Kilroy List of great plays by women playwrights. I'm so pleased! "THE LIST 2015 includes the results of the second annual industry survey of excellent new plays by female and trans playwrights. 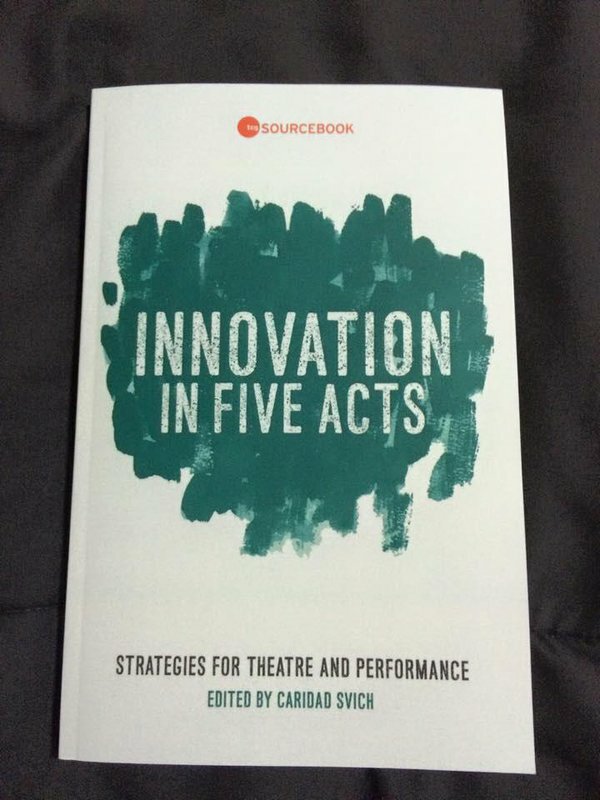 It is a tool for producers committed to ending the systemic underrepresentation of female and trans playwrights in the American theater." 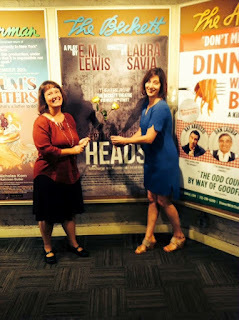 Great Review for NYC Production of "Heads!" 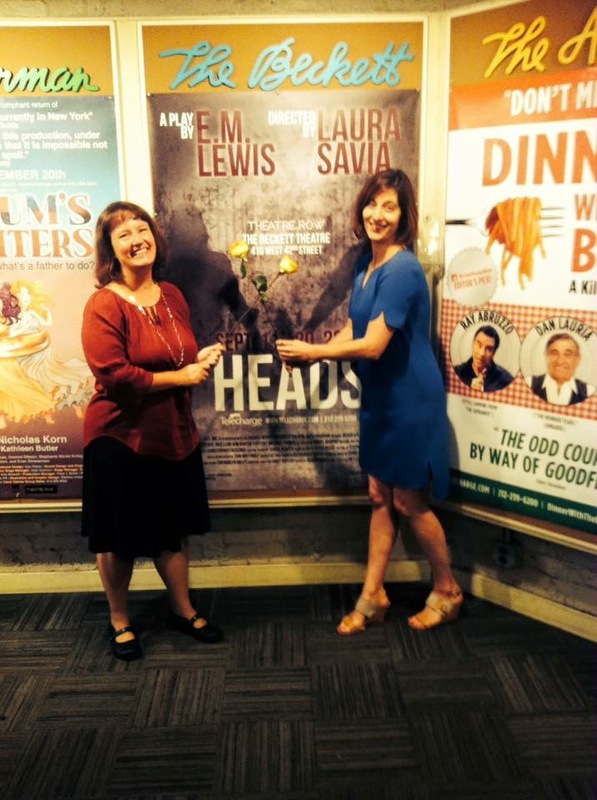 Great review of the February 2015 production of "Heads" at Theater for a New City in New York City! So glad I was able to see the production when I was on the east coast. "...this provocative and suspenseful play also offers audiences the opportunity to experience this issue through the eyes of an exceptional playwright." 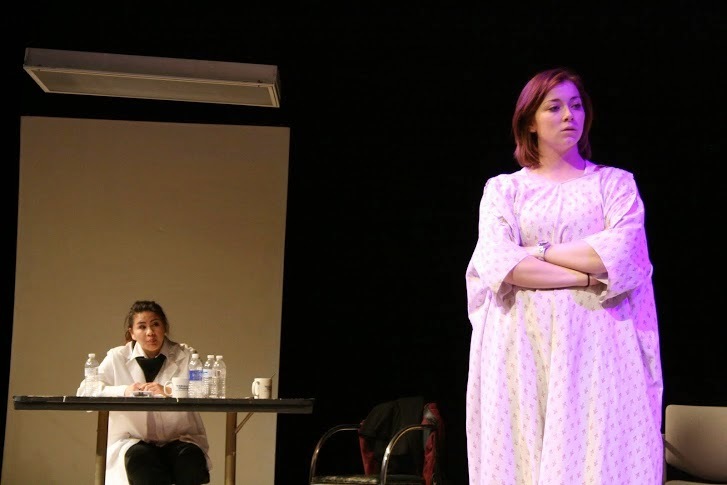 "The cast of this production delivered their roles with emotional clarity and skill. 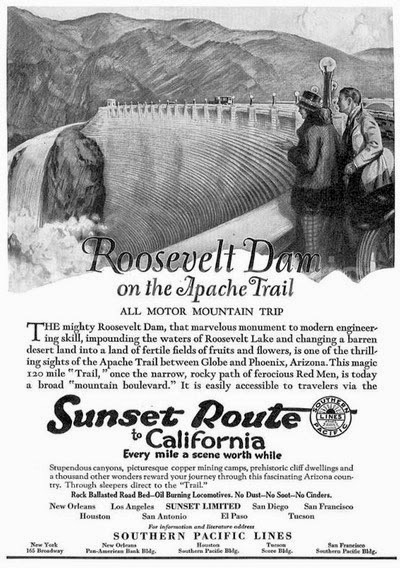 Robert Jordan delivered a fine and moving performance as Harold, the American engineer. Carol Jacobanis did an excellent job as the British embassy worker whose life has been torn apart and who now has to live with the threat of torture or violence at any moment. Seamus Maynard’s portrayal of Michael, a network TV journalist, is also exceptional. Gabriel Gutierrez delivered the most powerful performance from this finely tuned ensemble as the freelance photographer. Director Lewis H. Gould also did a wonderful job bringing forth nuanced performances from his cast and avoiding melodramatic interpretations." 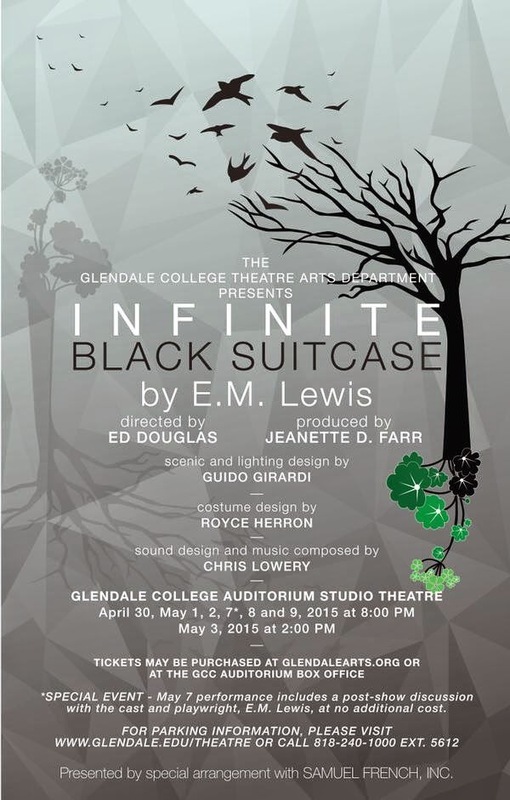 "Playwright E.M. Lewis has written a play that avoids portraying the political and the sensational aspects of a hostage crisis. “Heads” reveals the human and intimate emotional details of what may occur behind the closed doors of a terrorist prison. 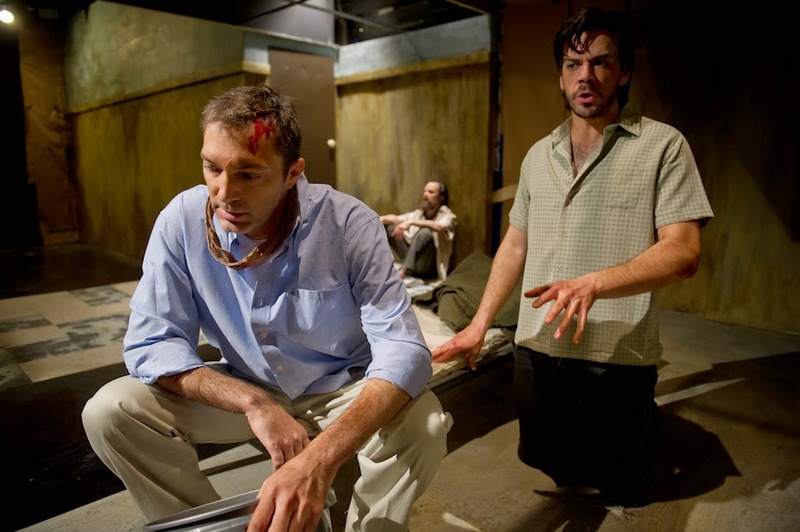 “Heads” is a play that deserves to be seen by larger audiences." THE GUN SHOW NJ - 3 Feature Articles! 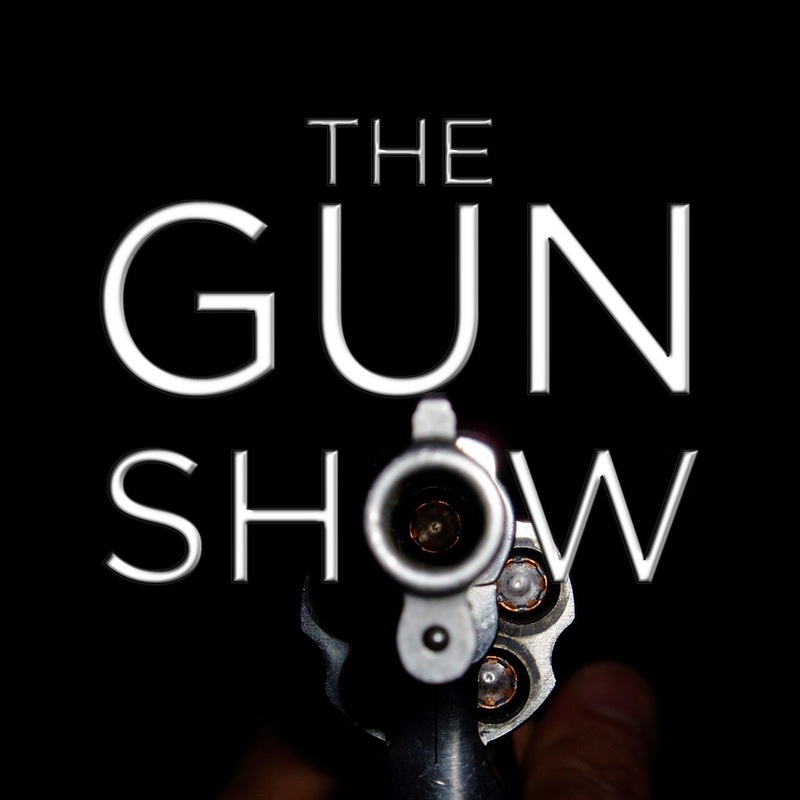 After an exciting world premiere production in Chicago over the summer and a sold out run of a second production in Los Angeles in the fall, THE GUN SHOW is having its third production in eight months right here in New Jersey. This play -- which is about guns and gun control, and my own personal experiences with both -- is playing at Passage Theater in Trenton from January 22 - February 8. It is directed by Damon Bonetti, and features Trent Blanton. I will be there for all performances... so if you do come, please say hello! I've never had a show close in one city and open in another on the same day. But that's what's happening today. 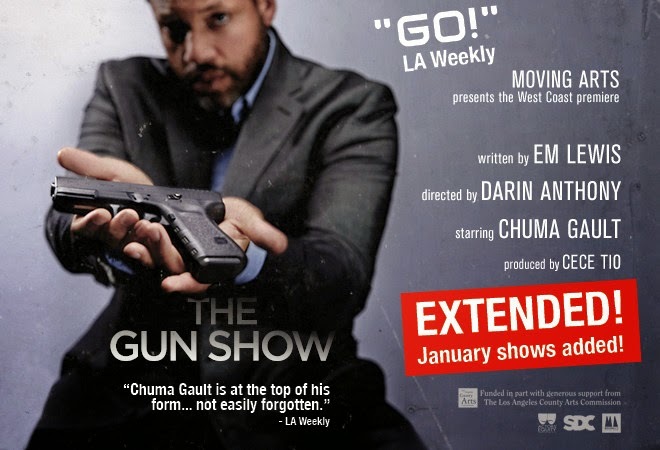 "The Gun Show" is having its final performance at Moving Arts, in Los Angeles, this evening. 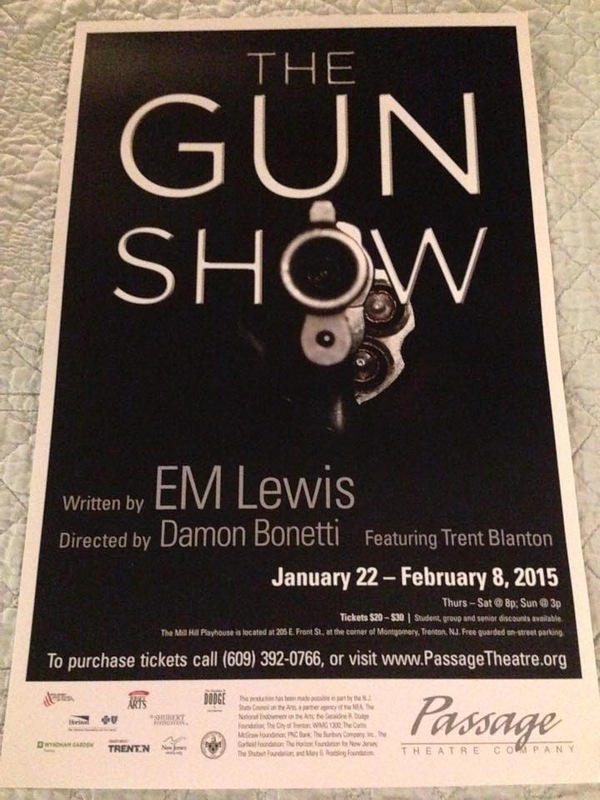 And it's opening night for the Passage Theater Production of "The Gun Show" in Trenton. It couldn't be more appropriate, really. Because this play is all about endings and beginnings. Beginnings and endings. I go back and forth on the order, in my head. This play is a door, and... I think I get to decide which direction to go through it. 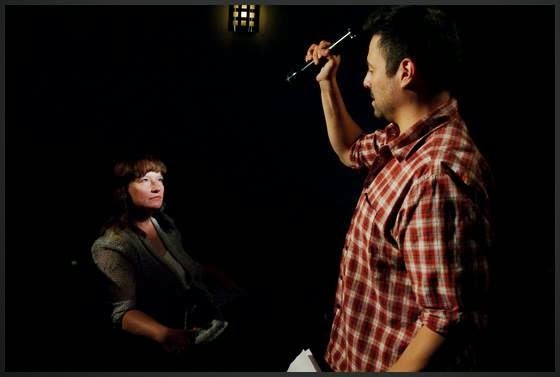 Ellen Lewis and Juan Francisco Villa, in the 16th Street production of "The Gun Show." I started this play in the middle. By which I mean Chicago. But maybe I mean more kind of middle than just that. (Everything is a metaphor today.) It's a rather intimate and personal play, and when it premiered at 16th Street Theater, I was still, in many ways, figuring out what it wanted to be, and how to manifest it up on stage. I was very lucky to have Kevin Fox dramaturging and directing and occasionally holding my hand and propping up his overwrought playwright (do they teach that in directing school?). I was very lucky to have Juan Villa up on stage, telling my story with all of his skill and empathy and humor and charm. Chuma Gault in the Moving Arts production of "The Gun Show." When I went to Los Angeles, to work with director Darin Anthony, and actor Chuma Gault, and producer Cece Tio who were putting the play on stage at Moving Arts, I knew more about how the play worked. But it is a city where some of the major action of "The Gun Show" took place. It is a place where I lived for a long time -- first with my husband, then alone. It is the place where I lost everything, and began again. It is the place where I became a playwright. It is a place where a lot of people know me, and it was difficult to tell people I know and love this story. But I'm glad I did. Thank you, Chuma, for bringing all your ferocity and grace to my gun show. Trent Blanton in the Passage Theater production of "The Gun Show." Some of the action of "The Gun Show" occurs in New Jersey and New York, too. I lived here for three and a half years, and made strong and enduring friendships. Passage Theater in Trenton premiered my play "True Story" last season, directed by Damon Bonetti, and it feels very right to now be working here, with Damon, on this play, which *is* a true story. (Funny how that works.) We've had two previews, and already it feels uncomfortably revealing to be sharing this story with people who I know and love. (Why are strangers easier? But they are.) Edward Albee once said that theater should afflict the comfortable and comfort the afflicted. I've always liked that. 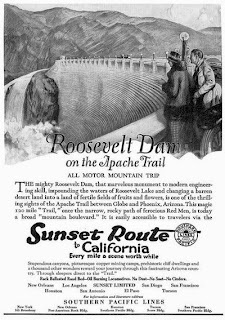 Playwright Robert O'Hara once remarked that he was trying to create theater where everyone was welcome and no one was safe. I like that, too. And the playwright herself shouldn't be exempt from being welcome and afflicted and unsafe and comforted. So it's very right to be doing this play here, and now. I'm feeling all of those things. I'm also feeling grateful for yet another wonderful actor who has taken up this story and made it his own. Thank you, Trent, for the fearlessness and vulnerability and intelligence that you are bringing to "The Gun Show." 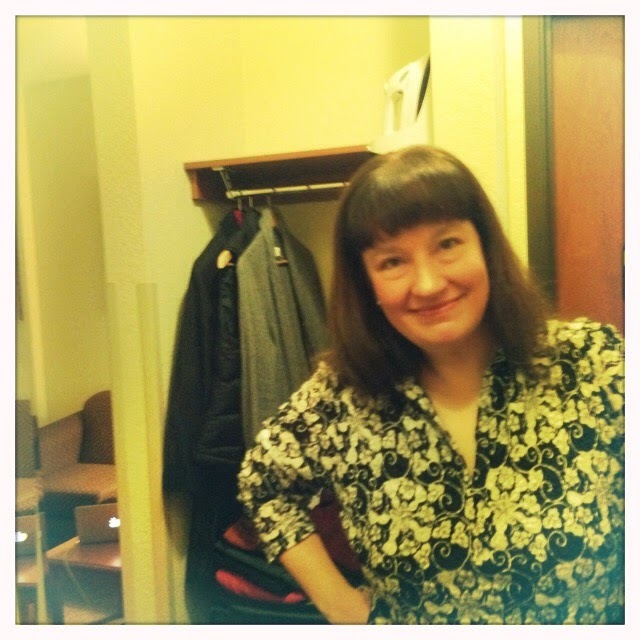 Here I am, standing in the doorway. Light a match. For light, not for burning. Begin a conversation about this. Choose the direction that is forward. The new year is busy, busy, busy already! It's so nice to be working. I have three shows up in January, and one in February, and I hope that you'll check them out if you are in the vicinity! 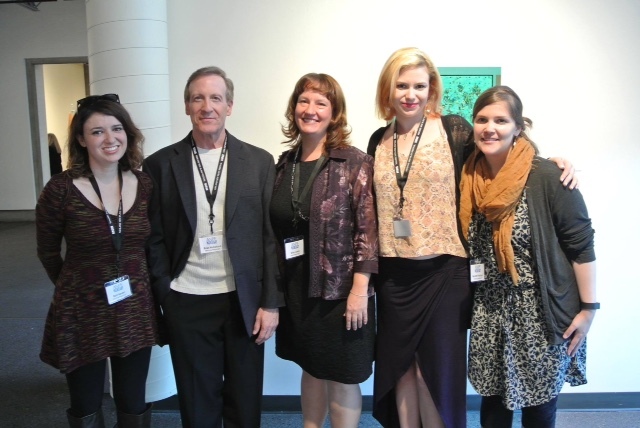 into January at Moving Arts! from January 24-February 8 at Passage Theater. in Minnesota from January 16-18. 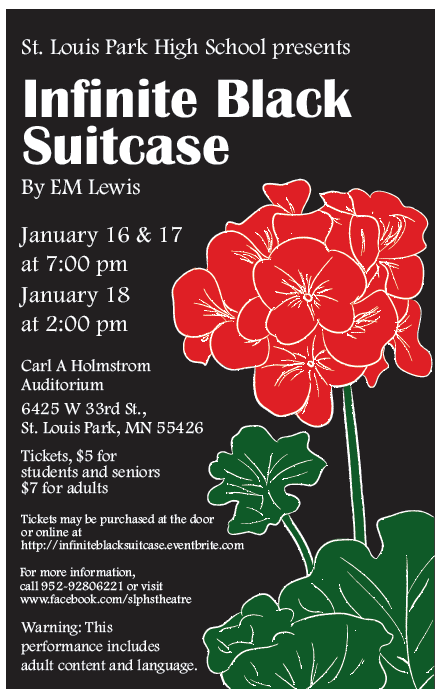 If you're in Minnesota, you can check out the St. Louis Park High School production of Infinite Black Suitcase. This is a high school production. Support kids making theater! in NYC from February 2-14. My play Heads -- a hostage drama set during the early years of the Iraq War, winner of the Primus Prize from the American Theater Critics Association -- is going up in New York City. Tickets will be available soon, so stay tuned for more information! 2014 In Review - It was a very good year! 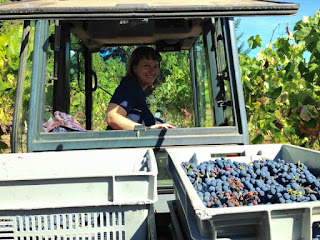 I wasn't sure what impact moving back to the farm in Oregon would have on my playwriting career. But 2014 was full of new creative partnerships, lots and lots of writing, and a nice batch of productions. It's been a year of transition in more ways than just location. 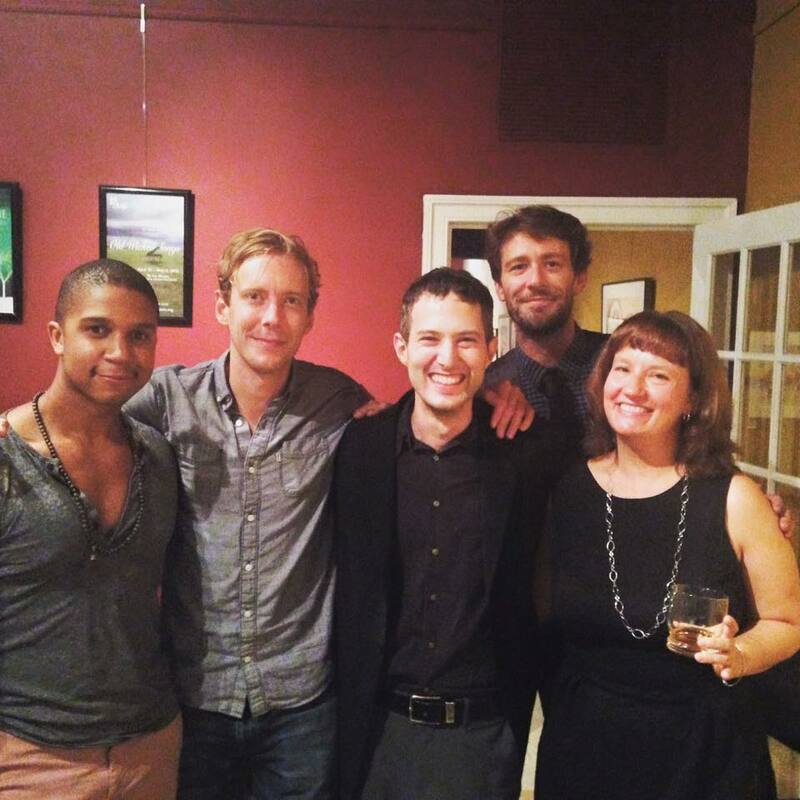 I premiered the smallest and most personal play I've ever written ("The Gun Show"), made huge strides in my biggest play (the Antarctic epic, "Magellanica"), and wrote my first opera ("The Resurrection Engine," with composer Evan Meier). I feel like something is unlocking inside me right now, in some deep and fundamental way. Writing "The Gun Show" (and being part of its production)... is letting me step out of a room I locked myself in quite a while ago. It has been very hard. There may have been an unseemly amount of crying involved in the eking out of those pages. But I feel lighter now. Like I've set down something very heavy. And like I've stepped out of the darkness. Perhaps this is part of what allowed me to move forward on "Magellanica" -- an epic ecological drama, set at a research station in Antarctica in 1985 -- which I've been researching and working on for quite a while now. I went from having part one and a little bit of part two at the beginning of this year, to having four of the projected five parts of the play drafted. 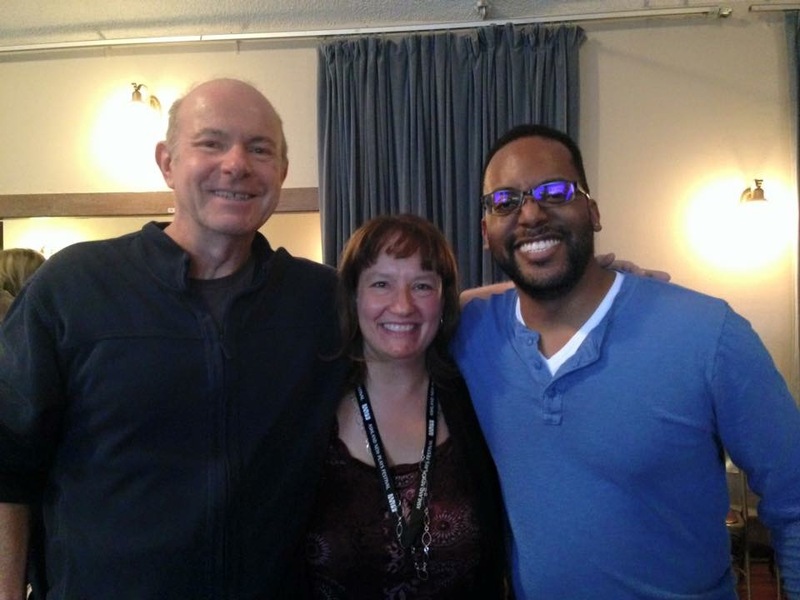 A nine-week residency and workshop at the William Inge Center for the Arts in the spring was a great help with that, as was an amazing workshop at TimeLine Theater in December. But the biggest boon to this project has been my collaboration with Chicago director Kevin Christopher Fox. 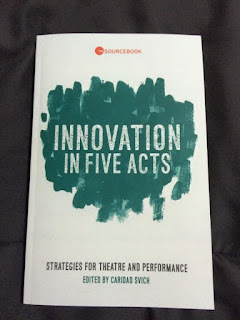 It is wonderful to find a director who can work alongside you as a dramaturg as well as be successful in bringing productions of your plays to the stage. My other new creative venture has brought with it another exciting creative collaboration. 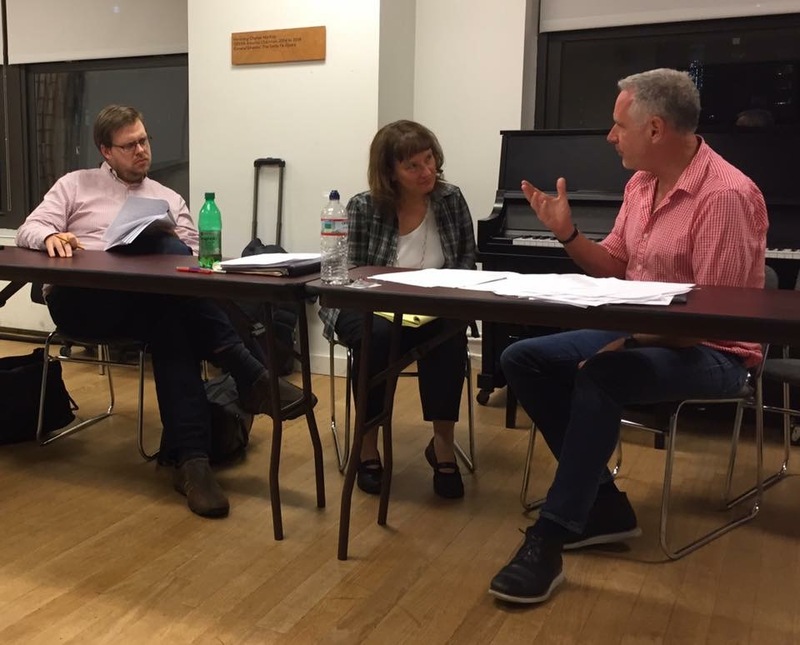 I have been studying to be an opera librettist with American Lyric Theater's Composer Librettist Development Program for the last year and a half, and have found that I absolutely love working with composers and telling stories with music. 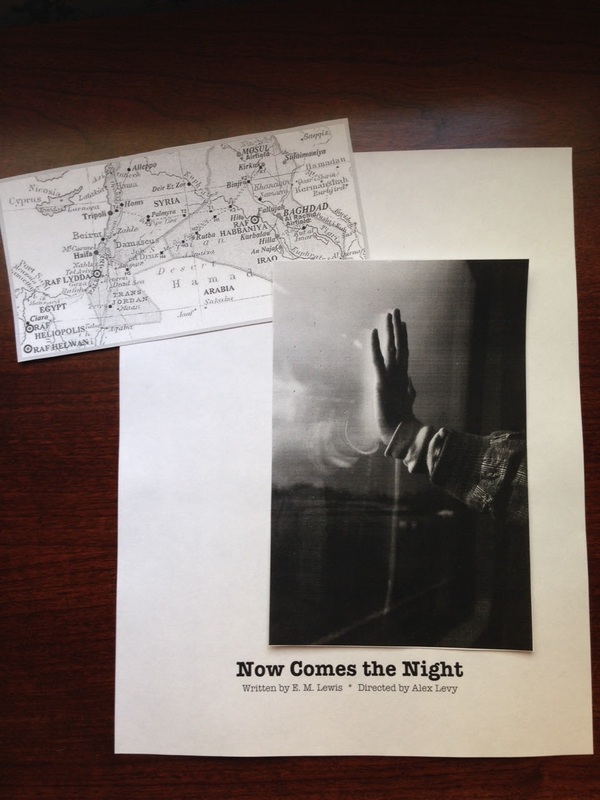 I wrote my first opera this year -- a thirty minute gothic chamber opera called "The Resurrection Engine" -- with composer Evan Meier, and we are just beginning the process of writing a second piece together. I'm very excited to see where this new venture leads me! I recently watched the movie "Quartet," and in it, an opera singer tried to describe what opera is to a bunch of teenagers. He told them that in opera, when someone stabs you in the back, instead of bleeding, you sing. I look forward to letting my characters do more singing in 2015! I'd like to give a big thank you to all the people I've been lucky enough to work with this year. I'm a very lucky playwright. I love what I do -- and I get to do what I love. Thanks for being a part of my life and work, friends and colleagues! 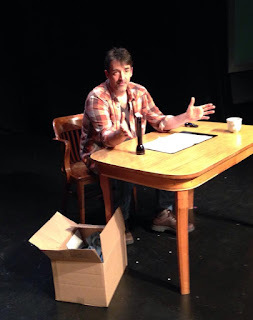 "The Gun Show" premiered at 16th Street Theater in Chicago in July 2014. Me and actor Juan Francisco Villa in "The Gun Show" at 16th Street Theater. "The Gun Show" had its second production in Los Angeles in November, starring actor Chuma Gault. 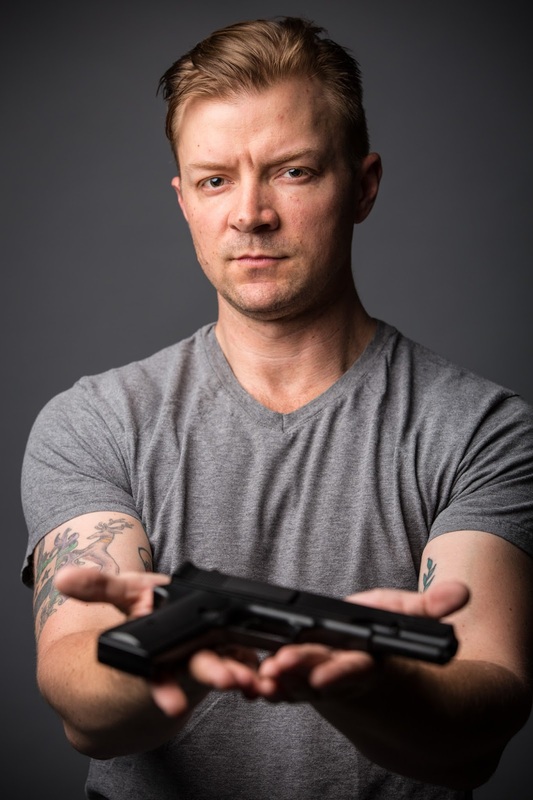 "The Gun Show" premiered in Chicago, directed by Kevin Christopher Fox, and went on to a second production in Los Angeles, directed by Darin Anthony (with a third coming up shortly in Trenton, directed by Damon Bonetti and featuring Trent Blanton). "Reading to Vegetables" at University of Washington, directed by Tina Polzin. "Reading to Vegetables" at Independence College, directed by Kevin Christopher Fox. 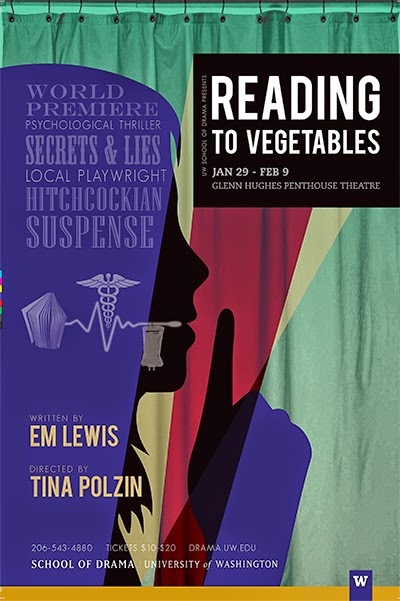 "Reading to Vegetables" premiered at University of Washington, directed by Tina Polzin. Then the play went on to a second production at Independence College in Kansas, during my residency there, directed by Kevin Christopher Fox. Working on "The Resurrection Engine" with composer Evan Meier. The thirty minute Gothic chamber opera premiered at Symphony Space in New York City, produced by American Lyric Theater, where we've been studying. "The Resurrection Engine" -- my first opera, written with composer Evan Meier in American Lyric Theater's Composer Librettist Development Program -- premiered at Symphony Space in New York City. in Westport, Connecticut, directed by David Roth. 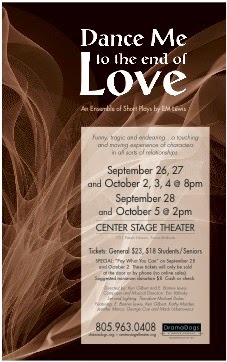 "Dance Me to the End of Love" -- a bunch of my short plays, produced by the DramaDogs in Santa Barbara, CA. Original music, played live! Dancing! And they did such a lovely job with my plays. 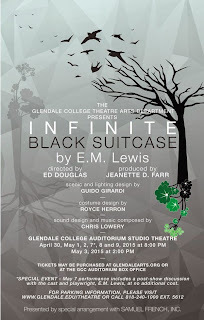 "Heads" was produced at Pittsburgh Rep, "Infinite Black Suitcase" was produced by Staples Players, and a bunch of my short plays was produced by the DramaDogs. 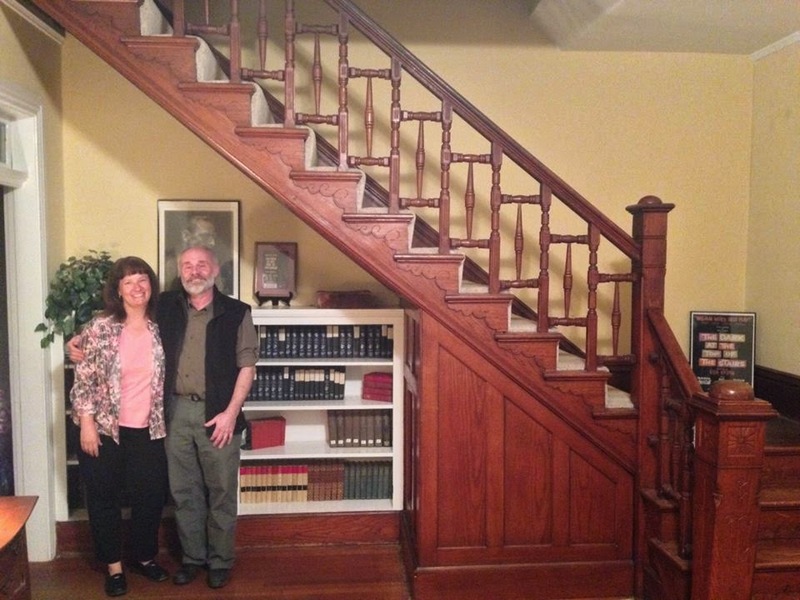 Nine weeks in residence at the beautiful Inge House in Kansas with playwright Russell Davis! 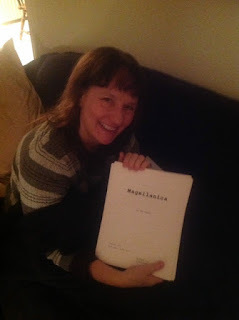 I taught playwriting and worked on "Magellanica" during a nine-week residency at the William Inge Center for the Arts in the spring, had readings of the play at Moving Arts in Los Angeles and Project Y in NYC, and then had a tremendous ten-day workshop of the play at TimeLine in Chicago -- making fantastic progress on the play with their help. Me and my guys! 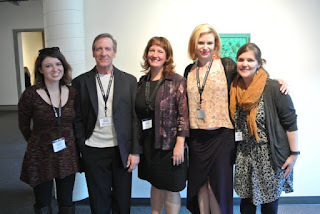 ANPF 2014 was wonderful again this year! I love this festival with all my heart. 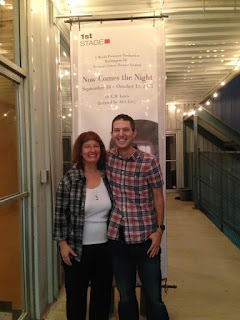 I was host playwright for the Ashland New Plays Festival in the fall. Samuel French, my publisher, featured "Infinite Black Suitcase" in their newsletter. 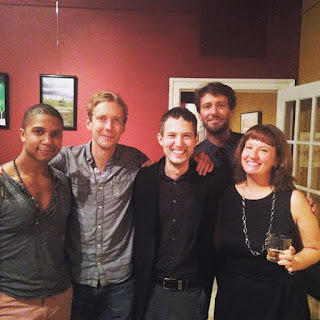 I was a finalist for the Shakespeare's Sister Fellowship from A Room of Her Own Foundation. 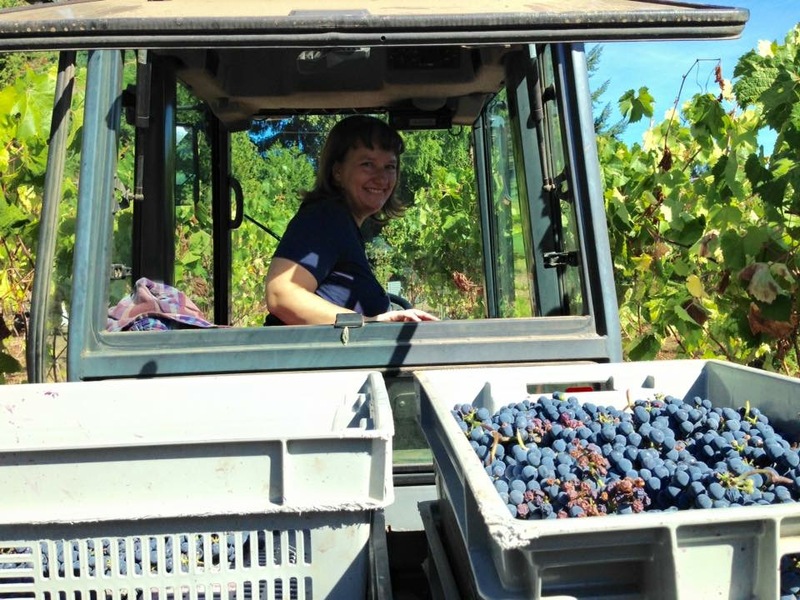 Here in Oregon, I helped my Dad plant the garden in the spring, helped my brother harvest grapes in his vineyard in the fall, and took a wonderful (and much needed!) road trip down the California and Oregon coast in November. This is such a beautiful state!